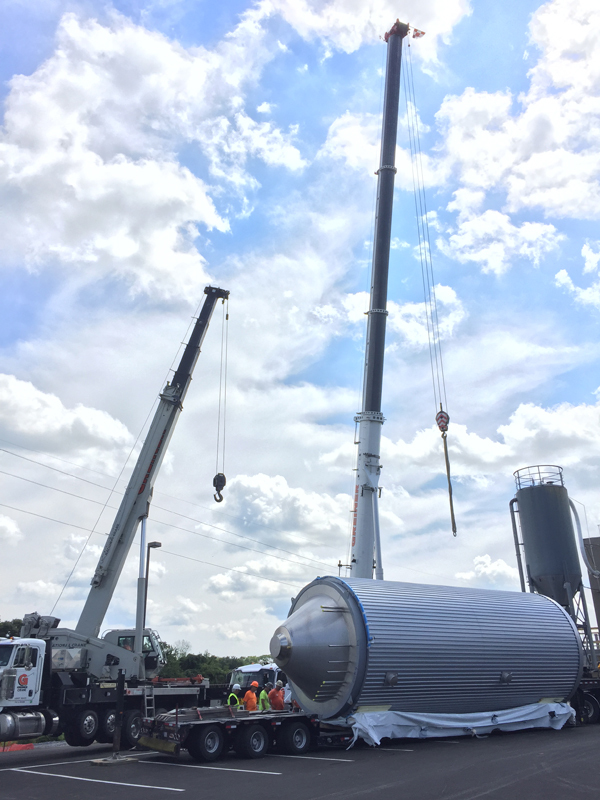 Tanks Lifted High at Tröegs - Pyramid Construction Services, Inc.
Tröegs is quickly becoming one of the nation’s largest craft brewers and they have tapped Pyramid Construction to help them take that distinction a little further. 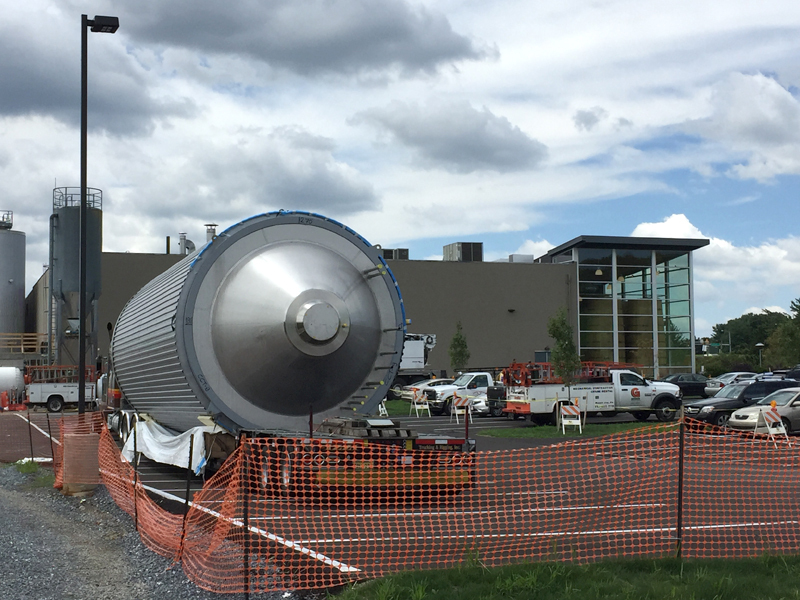 Alongside Greiner Crane, the first of 8 new fermentation tanks was placed upon the concrete structure behind the brewery that Pyramid designed and built specifically to hold their weight. The 32,000lb tank was hoisted into position by two cranes, one tasked with guiding the vessel into an upright position, the other to move it in to place on the deck. 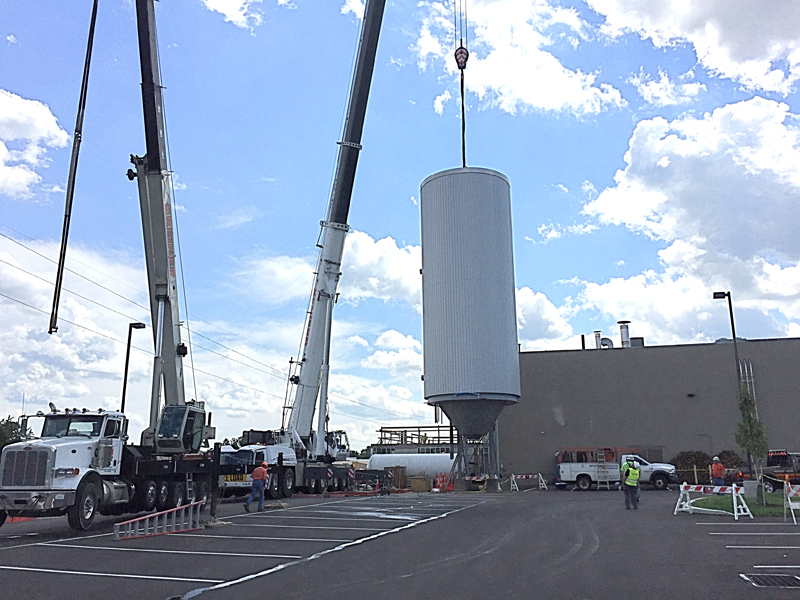 (pictured above) The first of the tanks waits to be hoisted into place.